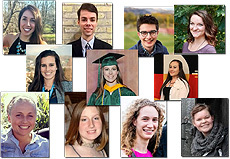 Samantha Sabin, Elliott Mamet, Thomas Gregg, Jr., Morgan Hess, Alexa Curtis, Melanie English, Andrea Abelenda, Susan Barczak (scholarship declined), Shobi Zetina, Jennifer Dickey, and Kaitlin Boger. 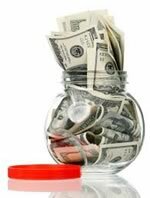 Each year, Pi Gamma Mu awards 10 scholarships to outstanding members. Three scholarships are worth $2000 each, and the other seven are worth $1000 each. These scholarships are intended for the first or second year of graduate work in the social sciences. 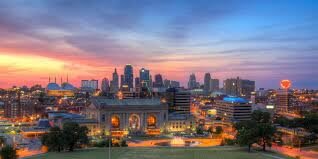 AlcoRehab.org is a group of professionals who are passionate about helping those struggling with alcoholism. They are devoted to providing free support and resources for people who are fighting an alcohol addiction and their loved ones. The International Board of Trustees wishes to thank the chapter faculty sponsors for their dedicated service to Pi Gamma Mu! It is the chapter sponsors who provide the lifeblood of the Society. In order to maintain fiscal stability and prepare for a strong future we must continue to grow by providing an invitation to membership to more outstanding students who deserve to be honored. During the annual meeting of the International Board of Trustees in November 2016, the Board approved the recommendations of the Awards Committee concerning which chapters are recognized on this year's Roll of Distinction (the highest award for chapters) and Roll of Merit. While Pi Gamma Mu is not the largest or wealthiest of the 65 national and international honor societies affiliated with the national Association of College Honor Societies (ACHS), arguably our international officers and trustees and our chapter sponsors are the hardest-working volunteers who can be found in any of the societies. MARYLAND ETA CHAPTER CELEBRATES NEW INITIATES! 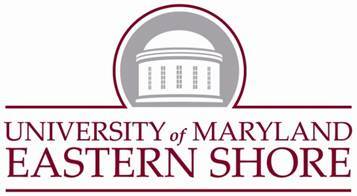 The Maryland Eta chapter at the University of Maryland Eastern Shore (UMES) initiated 13 new members at a ceremony on November 16, 2016 on the University's Hazel Hall in Princess Anne, Maryland. Dr. Clara Small, Interim Chair of the Department of Social Sciences, performed the candle-lit initiation ceremony and spoke about the history of Pi Gamma Mu. Small is the Second Vice President on the International Board of Trustees of Pi Gamma Mu and was a long-time chapter sponsor of the Maryland Gamma chapter at Salisbury University where she is a Professor Emeritus. This year, chapters of Pi Gamma Mu International Honor Society will be collecting items for the homeless. To participate, please contact an organization in your area that supports the homeless. Ask them what they need in terms of supplies and donate a box of supplies on behalf of your chapter. If every chapter works on this initiative, Pi Gamma Mu will be able to help the homeless population throughout the country! The Trustees of Pi Gamma Mu have established the lectureship fund for the purpose of advancing the social sciences and to serve as a memorial to deceased officers of this honor society. SHOW YOUR PI GAMMA MU PRIDE! In contrast, some new so-called honor societies exist only online and allow self-nomination, accepting fees with no questions asked. 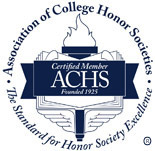 If in doubt about an organization, you can check out the ACHS website (www.achsnatl.org) for the list of honor societies that are members. Pi Gamma Mu communicates with its lifetime members via email. Anytime your email address changes, such as after graduation or when you change jobs, please notify the Pi Gamma Mu office immediately. This will prevent your emails from being interrupted or discontinued. Simply email your new email address to [email protected] or go to our Web site (www.pigammamu.org) to change your address information. We will need both your old email address and your new email address to update our records. Thank you very much for taking a few minutes to keep your information current.